A Golf Digest 4-Star Championship Golf Course featuring elevated tees and greens, water in play on 15 holes and 4 sets of tees to challenge golfer of all levels. 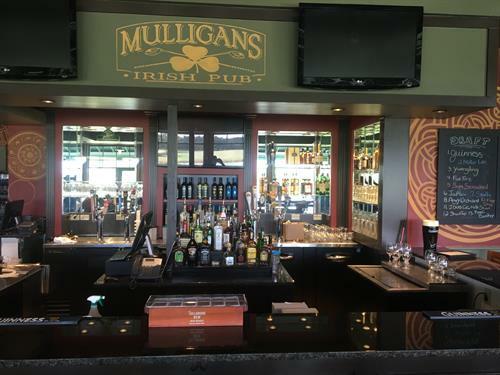 Inside the clubhouse, Mulligans Irish Pub is a full service restaurant with a fully stocked bar and a menu with something to satisfy all tastes. Also featuring a Lighted Driving Range and a Lighted 18 hole Miniature Golf Course to entertain everyone including golfers and non golfers alike.